The consortium of the PMSE-xG research project consists of three well-known German manufacturers of production, event, and conference technology (ARRI, Robert Bosch, Sennheiser), an innovative mobile SME (Smart Mobile Labs), a leading chip manufacturer (Intel), two universities (Hannover, Nürnberg-Erlangen) and a research institution of the Fraunhofer-Gesellschaft (HHI, Berlin). Sennheiser is shaping the future of audio – a vision built on more than 70 years of innovation culture, which is deeply rooted within the family-owned company. Founded in 1945, Sennheiser is one of the world’s leading manufacturers of headphones, microphones and wireless transmission systems. With 20 sales subsidiaries and long-established trading partners, the company is active in more than 50 countries and operates its own production facilities in Germany, Ireland and the USA. Sennheiser has about 2,800 employees around the world that share a passion for audio excellence. Since 2013, Sennheiser has been managed by Daniel Sennheiser and Dr. Andreas Sennheiser, the third generation of the family to run the company. Arnold & Richter Cine Technik (ARRI) is a global company within the motion picture media industry, employing around 1,500 staff worldwide. In 2017 ARRI is celebrating its centenary, having been founded in 1917 in Munich, Germany, where the headquarters is still located today. Other subsidiaries exist in Europe, North and South America, Asia and Australia. The ARRI Group consists of five business units: Camera Systems, Lighting, Media, Rental and Medical. ARRI is a leading designer and manufacturer of camera and lighting systems for the film and broadcast industry, with a worldwide distribution and service network. It is also an integrated media service provider in the fields of film post- and coproduction as well as equipment rental, supplying camera, lighting and grip packages to professional productions. ARRI Medical focuses on the use of core imaging technologies for surgical applications. The Corporate Research and Advance Engineering unit of Robert Bosch GmbH bundles the company-wide research activities of BOSCH and works closely with the various business units. 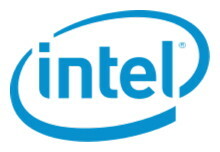 Intel develops and markets innovative semiconductor products and mobile communications solutions. In particular, mobile platform solutions are being created for many market segments: from low-cost 2G / 3G / LTE single-chip platforms for low-cost mobile phones and simple smartphones, to complex 3G and 4G flat-modems and high-frequency solutions for smartphones and tablets in high price ranges. Intel employs more than 105,000 people worldwide. In Germany, Intel has the second strongest presence of research and development teams. The strongest presence of research and development teams in Europe is in Ireland, where there is an Intel chipmaking site. Intel Deutschland GmbH employs more than 3,300 people. The research and development teams cover key issues for the development of new technologies in the fields of communications, security, automotive and connectivity. Smart Mobile Labs is a spin-off of Nokia Siemens Networks and was founded in 2013 with the goal of developing and successfully introducing innovative industry solutions based on state-of-the-art wireless technologies. The focus here is on the robust and latency-free transmission of critical and bandwidth-hungry applications, which require the fast mobile radio standard LTE. The first product, the Smart Mobile Labs Video Orchestrator, has already been successfully deployed for 4G LTE media production. In addition, Smart Mobile Labs acts as a consultant to various industries, providing a mobile LTE environment for testing and building prototypical applications. Smart Mobile Labs is a classic start-up in the go-to-market phase. The construction of technical and sales resources has already begun, but significant growth is expected in the future. The use cases for the Smart Mobile Labs solution portfolio are transferable across many industries, from the event and broadcast solutions described here, especially in the sports, security and surveillance to industrial image processing in the manufacturing, agriculture and forestry sectors in certain M2M segments, for example, the currently very intensively discussed topic "Connected Car". As the largest institution for applied research in Europe, the Fraunhofer society is participating in a multitude of national, European, and international research projects. Fraunhofer Heinrich Hertz Institute (HHI, www.hhi.fraunhofer.de) belongs to the leading research centers in the area of (mobile) telecommunications. The department wireless communications and networks (WN) has been carrying out cutting edge research on future generations of communication networks for more than 20 years. It develops solutions within the broad area of wireless communication systems and networks ranging from information theory via channel measurements, algorithm and protocol design, system and network simulation right through to the implementation of algorithms in demonstrators. HHI belongs to the major player in the area of the next generation (5G) of mobile communications and develops technology in the broad area of wireless communication systems and networks, which can be demonstrated in a 5G testbed in Berlin. The department has own channel measurements equipment available, multi-antenna arrays and a large variety of methods for system evaluation and practical concept evaluation. The department is also actively contributing to the 3GPP standardization activities towards 5G. In particular, the standardization work is focused on the RAN1, RAN2, RAN4, and SA1 working groups, the latter treating new use-cases for future releases of 3GPP based network. Founded in 1743, FAU has a rich history. It is a strong research university with an international perspective and one of the largest universities in Germany, with 39.780 students, 263 degree programmes, 4,000 academic staff (including over 579 professors), 177,6 million euros (2016) third-party funding, and 500 partnerships with universities all over the world. Teaching at the University is closely linked to research and focuses on training students in both theory and practice to enable them to think critically and work independently. The research itself also strikes the perfect balance between a theoretical approach and practical application. FAU’s outstanding research and teaching is reflected in top positions in both national and international rankings, as well as the high amount of DFG funding which its researchers are able to secure. The Institute for Electronics Engineering (LTE) of the Friedrich-Alexander-Universität Erlangen-Nürnberg is part of the Department of Electrical, Electronical and Communication Engineering in the Faculty of Engineering. Having approximately 50 employees it is one of the university’s biggest chair. The LTE covers a wide scope within electronics. Deep going theory as well as practical aspects get lighted both in research and in teaching. That includes: Circuit technology, Microwave technology, Chip design, Test and Measurement, Hardware related programming, and System theory. Founded in 1831, the Gottfried Wilhelm Leibniz Universität Hannover is one of the largest and oldest science and technology universities in Germany. With 25.688 students from 2.121 foreign countries, it has nine faculties which offer 190 full and part degree programs in 38 fields of study. The University is named after Gottfried Wilhelm Leibniz, the 18th century mathematician and philosopher. Leibniz Universität Hannover is a member of TU9, an association of the nine leading Institutes of Technology in Germany. It is also a member of the Conference of European Schools for Advanced Engineering Education and Research (CESAER), a non-profit association of leading engineering universities in Europe. The university sponsors the German National Library of Science and Technology (TIB), the largest science and technology library in the world. 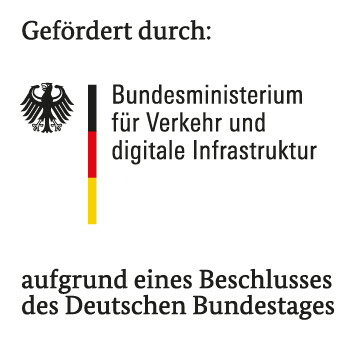 The Institut für Kommunikationstechnik (IKT) deals with current issues of data transmission and communication networks. In the modern information society we live in, both are of immense importance since more and more people and machines share increasing amounts of data. Therefore, the IKT does research on wireless radio systems with efficient modulation schemes, multiple-antenna systems, Machine-Type-Communication, Car2Car-communications, network analysis tools, Cognitive Radio and new technologies and concepts for the future internet. In the field of audio signal processing the IKT investigates acoustic measurement technology, multi-channel speaker systems and virtual 3D audio.